The Netherlands, 2 May 2011 – Elopak, the Norwegian carton packaging manufacturer, started the international roll-out of HAI*QPM, the successful real-time information system for production and quality. The international roll-out was preceded by a successful implementation of HAI*QPM at the sites of Elopak and Elocoat in The Netherlands. The planning is to start with additional implementations in Germany and Denmark, moving forward to Canada, Russia, Ukraine and Serbia. 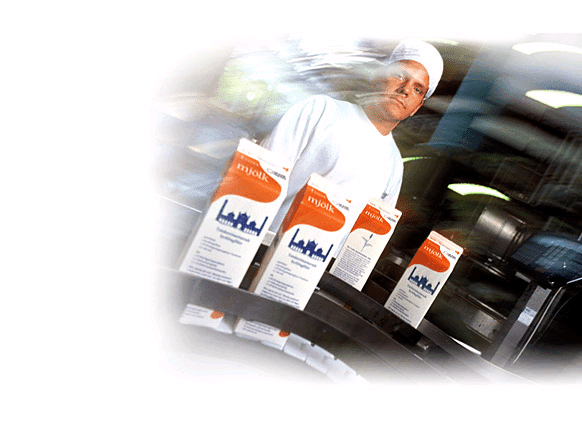 During the manufacturing of Elopak’s cartons, many product quality inspections are carried out. These test results are recorded manually into the HAI*QPM database by operators at the production lines. Moreover, product quality testing equipment is directly interfaced with HAI*QPM, to save time and improve reliability of the data. By interfacing with process control systems, HAI*QPM can automatically capture data, like order numbers, line speed, production volumes, visual inspection data from vision systems, etc. HAI*QPM contains quantitative and qualitative information on each phase in the production process. Operators and (quality) engineers can monitor (non-)conformance of production and quality parameters in real-time. Quality or process variances are visualised, enabling the crew to take timely corrective action and prevent product quality issues. The international roll-out of HAI*QPM to the various countries in Europe and Canada requires no additional software installations. System management of HAI*QPM is being done centrally at the HAI*QPM data centre in The Netherlands, and all the Elopak sites can simply log in to the application by internet. HAI is considered an Early Adopter of this SaaS-concept, where customers do not need to bother about installing and maintaining software at each invididual site, but instead simply log in to their own protected HAI*QPM dataset in the data centre. HAI in The Netherlands(www.hai.nl) delivers Enterprise Manufacturing Intelligence (EMI) solutions to help manufacturing companies to accelerate operational performance initiatives, drive operating strategies and capture actionable insight in production & quality compliance. Using HAI*QPM, manufacturing teams can create real-time information on Production- & Quality Compliance and drive corporate initiatives like Lean, Six Sigma, TPM, and other continuous improvement methods. Elopakwww.elopak.com is one of the world’s leading manufacturers of carton-based packaging solutions for non-carbonated fresh and long-life liquid food products like dairy, juice, soup, water and wine. More than 3.000 employees are employed world wide.